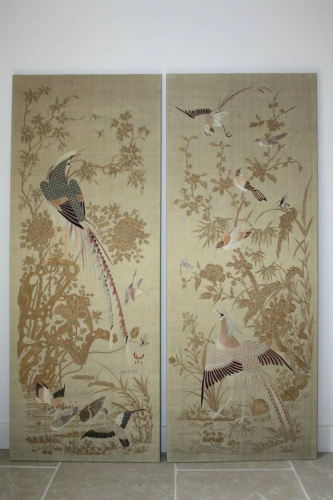 A stunning pair of hand embroidered silk panels depicting birds in flight, by water and butterflies in foliage around a central main bird of paridise or pheasant with elegant long feathers. Made in China c1930 for the European market. Embroidered and signed by the artist.